Globality | Sulbana AG – Käserei-, Hygiene- und Verpackungstechnik. 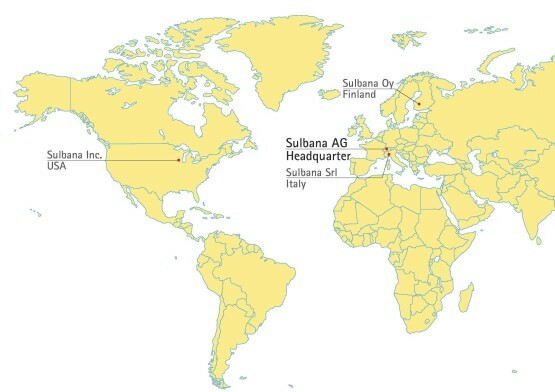 Sulbana AG is a Swiss company based in Elsau in the Canton of Zurich. In a rural, idyllic environment, the Sulbana team works for the success of the best-known food producers in the whole world. Since 2014, Sulbana AG has expanded its headquarters in Elsau significantly. With the construction of new office premises on the production hall and warehouse, the company has taken a major step towards now presenting itself in modern, spacious architecture. The branches of Sulbana AG in Europe are located in Finland, Italy and USA. These strategic locations secure you the best foundations for direct and reliable contact with your personal contact person at Sulbana AG.